The discussions come as Moonves continues to grapple with the fallout from sexual misconduct allegations recently published in The New Yorker. 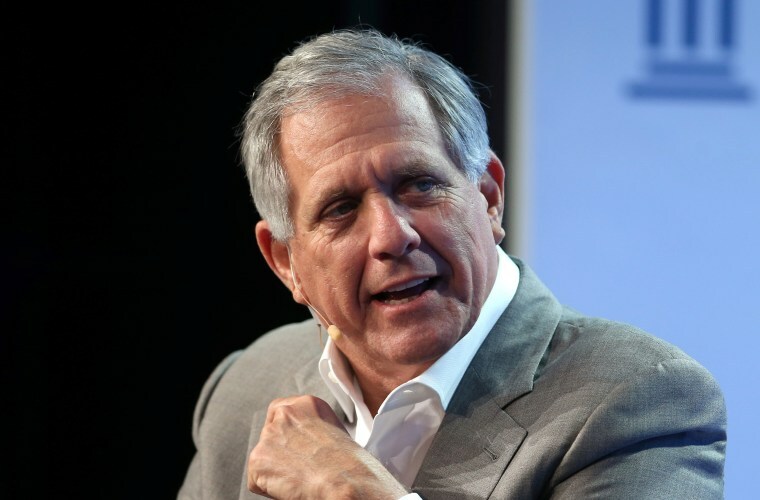 Shari Redstone, the controlling shareholder of CBS Corporation, is quietly looking for a potential replacement for Leslie Moonves, the embattled chief executive of CBS, according to two people close to her. The sources, who asked not to be named because they were not authorized to speak publicly on the matter, said that Redstone has asked people about possible replacements who could run CBS. Richard Parsons, the former CEO of Time Warner, who is expected to join the CBS board, is helping to forward names of potential candidates to Redstone, according to one executive. Parsons was not immediately available for comment, according to an assistant at his office. Spokespeople for CBS and National Amusements, the Redstone family’s holding company that controls CBS, both declined to comment. The discussions come as Moonves continues to grapple with the fallout from sexual misconduct allegations recently published in The New Yorker, though it is far from clear that Moonves is planning to step down. On July 27, the magazine reported that six women, four of whom spoke on the record, have accused Moonves of sexual harassment or misconduct. Of these allegations, four accused Moonves of forcible touching or kissing, and two alleged sexual misconduct or harassment. The allegations stretch from the 1980s to the 2000s. Moonves said in a statement to The New Yorker: "I recognize that there were times decades ago when I may have made some women uncomfortable by making advances. Those were mistakes, and I regret them immensely. But I always understood and respected — and abided by the principle — that 'no' means 'no,' and I have never misused my position to harm or hinder anyone’s career." On a recent earnings call, Moonves, on advice of counsel, did not address the allegations and instead discussed future growth projections at the company. The CBS board of directors announced an investigation into the allegations, but did not take any action against Moonves. Redstone and Moonves have squared off in recent years, with Redstone seeking to merge CBS with Viacom, which is also controlled by Redstone’s National Amusements. CNBC reported in April that Redstone would try to replace Moonves if the two companies were not combined. Those tensions boiled over in May, when CBS sued National Amusements for breaching its “fiduciary duty.” CBS later voted to dilute the voting power of National Amusements, a move that is being challenged in court. Redstone’s succession plan for Moonves is complicated by agreements that CBS made with another executive, Chief Operating Officer Joseph Ianniello. Lawyers for National Amusements claimed in legal papers filed on Aug. 3 that Ianniello had worked in tandem with Moonves in an effort to cut Redstone out of the CBS succession plan. The details about Ianniello were first reported by The Hollywood Reporter on Wednesday. On Tuesday, CBS said the work of law firm Proskauer Rose and its earlier investigation into CBS News, which was spurred by allegations of sexual harassment against former “CBS This Morning” anchor Charlie Rose, would be wrapped into a wider probe of the company being conducted by the two other law firms that CBS had hired. Moonves has in recent weeks reached out to discuss his legal options and has been talking to high-powered lawyers for advice, according to two people familiar with the discussions but not authorized to speak publicly. Bertram Fields, a high-profile entertainment attorney with the law firm of Greenberg Glusker, said his advice to Moonves would be to fight the claims. Fields, who worked with Hollywood executive Jeffrey Katzenberg in an action against his former employer Disney, defended Moonves. "The smart thing to do is line up a team to help him,” Fields said. “I would think some of the most of the proficient litigators would be glad to represent him."